Na wa oh! Fake pastors claiming the name of God everywhere… endtimes are really here! Pastor Paul William along with his Ugandan counterpart Pastor Josephs have been arrested by the police in Zimbabwe after entering the country with fake passports. According to H-metro, the two pastors at Holy Fire Ministry were said to have flouted immigration laws and duped congregants of their cash. They will appear in court today. “These pastors have been charging one on one session for US$20. “Failure to pay the marked price, one would not be attended to,” a source told H-metro. “These sessions would start around 10am in the morning and pastor Williams would preach while Joseph prays for people. “They have been doing that for quite some time and their money. The pastors were also accused of demanding sexual favours from church members and wrecking people’s homes. “These pastors were using pseudonyms, since Pastor Paul William’s real name is David Mubiru while Joseph is Shafik Sekandi. 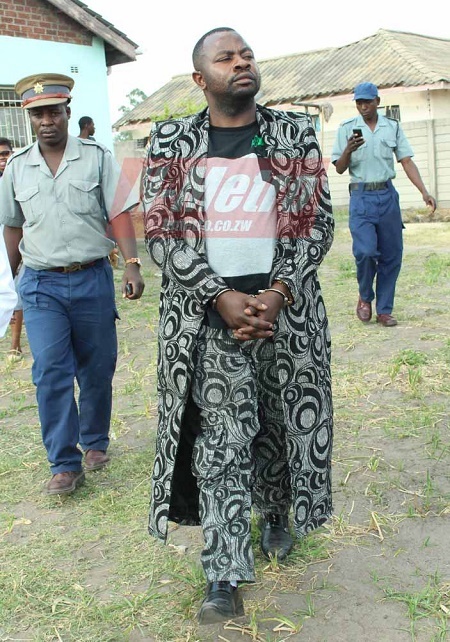 “Pastor William had a fake passport that showed he arrived in Zimbabwe on the 11th of this month yet there are rumours that he was at Florida Community Hall in Mutare mid-September for healing and prophetic deliverance. “They have destroyed people’s marriages claiming to be mightily used by God while they sexually abuse women who come for ‘deliverance’. “Pastor William spends most of his time drinking beer as a way to entertain himself. “Last week, he was hauled to Waterfalls Police Station for physically abusing his wife Alice”. the source said.